In this blog, we will answer the most frequently asked questions related to QuickBooks Hosting. The questions are selected on the basis of their frequency of been posted on the Internet and relevance. So, here are the top 20 QuickBooks Hosting questions with their answers. 1. Is QuickBooks Available on The Cloud? Can I Host QuickBooks In the Cloud? 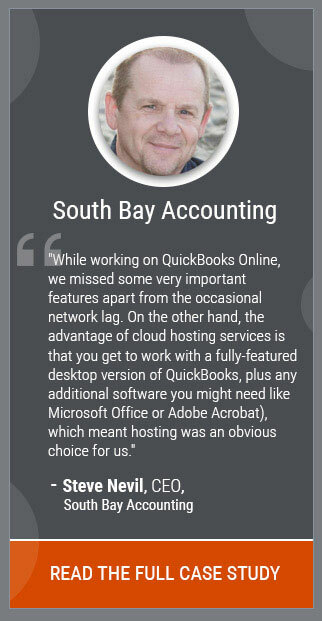 Yes, QuickBooks is available on the cloud. However, there are two versions of QuickBooks available on the cloud – QuickBooks Hosting and QuickBooks Online. QuickBooks Online is a product of Intuit that can be accessed by directly logging in the online portal via a web browser. Whereas, QuickBooks Hosting is the QuickBooks desktop version hosted on the cloud of the third-party cloud provider. So, yes QuickBooks is available on the cloud. 2. What is QuickBooks Hosting? QuickBooks Hosting is sometimes referred to as QuickBooks cloud and Hosted QuickBooks. The term basically refers to the installation of the QuickBooks software (desktop version) on the cloud rather than the local system. This enables the access of the application from anywhere at any time through the Internet. You get all the benefits of the cloud with the capabilities of QuickBooks Desktop. 3. What Are the Benefits of QuickBooks Hosting for My Business? 4. How Does QuickBooks Hosting Work? To have an overview of how QuickBooks Hosting works on cloud review the steps below. 1) First, the hosting provider installs the server with the QuickBooks software. 2) After that, the user is provided access to the service provider’s server. The following steps are taken to ensure the same. Safeguards are deployed to secure the connection between the data and the end-point device. The connection between the server and the end-user is accomplished via Remote Desktop Protocol (RDP). 3) Now, the user can work on the QuickBooks via any device using the web browser in the device like Chrome, Firefox, IE, etc. or via RDP shortcut as offered by the cloud provider. 4) All the changes that are made while working on the QuickBooks are automatically saved and are visible to all the authorized users. 5. What Versions of QuickBooks Software Can Be Hosted? All the versions such as QuickBooks Pro, Premier, Accountant, POS, and Enterprise are available on the cloud. 6. What Is the Difference Between QuickBooks Online and QuickBooks Desktop Hosting? To have a brief comparison between QuickBooks Hosting and QuickBooks Online, review this blog “QuickBooks Online Vs. QuickBooks Hosting: Learn Which One is Better”. QuickBooks Hosting is basically when the desktop version of QuickBooks is installed on the cloud environment offered by a third-party service provider over the Internet so that the user can access the application via a web browser or remote access software on any device of his/her choice. It has a similar interface as the desktop version and supports all the features of the desktop version. Whereas, QuickBooks Online is a cloud-based version of QuickBooks developed by the Intuit since various businesses were looking for a cloud solution. It has a different interface than the desktop version and doesn’t support it’s all features. 7. 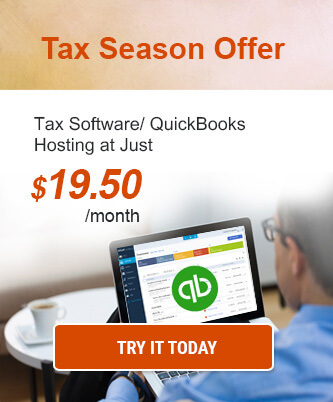 How Much Does It Cost to Host QuickBooks? The cost of hosting QuickBooks depends on the service provider one has opted for, but on an average, it’s about $50/user/month. However, it depends on the pricing structure of the cloud services provider. For instance, Ace Cloud Hosting offers QuickBooks at $44/user/month. Along with that, it also offers a free trial of 10 days, so that the users can get firsthand experience of our services and decide for themselves. 8. How Does the QuickBooks On Cloud Speed Compare to Running It on the PC? The speed may vary depending on the internet connection one is using while working on cloud-based QuickBooks. However, the QuickBooks can be accessed efficiently even with the help of an average-speed internet connection. 9. If I Shift from QuickBooks Desktop to Cloud, Will Certain Features Be Compromised, Or Will I Enjoy Complete Desktop Functionality? If you shift from the local desktop setup to the cloud environment, you will have all the features of the desktop version but only if you opt for QuickBooks Hosting as QuickBooks Online has a different interface and features as compared to the desktop version. 10. What Does The “Intuit Authorized Commercial Host” And “Intuit Authorized Standard Host” Mean? Intuit Authorized Commercial Host are those hosting services providers that are authorized to provide services to the QuickBooks end-users (accountants, CPAs, Bookkeepers). In addition, the commercial hosts can also offer QuickBooks licenses to the users which are obtained from Intuit. Whereas, ‘Intuit Authorized Standard Host’ are those providers that are also authorized to provide to hosting services to the QuickBooks end-users, but they can’t offer subscription services for the new Licenses. 11. What Are the Best QuickBooks Hosting Companies? There are various QuickBooks hosting companies which are popular in the market. Check out this article to get an overview of the renowned hosting provider. To have a brief explanation on every factor review this blog. 13. Do I Have to Purchase QuickBooks Software License Before I Can Have It Hosted? You can ask for a new QB license from your hosting provider if the provider is an Intuit Authorized Commercial Host. If not, you can purchase license from QuickBooks Solutions Provider and ask your hosting provider to install it. 14. How to Turn ON Hosting Mode in QuickBooks? To turn ON QuickBooks hosting mode one has to go to the ‘User for this computer’ section in the User Accounts and then configure the Database Server Manager from there. However, different versions of QuickBooks have a different Database Server Manager, and the users have to choose accordingly. The list depicting the Database Server Manager for various versions of QuickBooks is shown below. Read more about “Turn On” hosting mode in this article. 15. What Is QuickBooks Multi-User Mode? The Multi-user Mode allows more than one user to access and operate the QuickBooks software. This is one of the unique features of QuickBooks by which multiple users can operate and manage the data at the same time. 16. How Safe Is My QuickBooks Data on The Cloud? One should analyze the security measures a hosting service provider deploys to protect the data, before selection. 17. Do I Have to Be Running Windows to Use the Hosting Service, Or Will It Work with Mac and Linux? This depends on the hosting service providers specifications, your PC’s capabilities and configurations. If everything is fine from the provider’s end, you can easily connect to the provider’s server and can access or operate on QuickBooks using Mac, Linux or Windows OS. However, first, you have to discuss and ask all the specifications required from your hosting provider. Hence, choose your hosting service provider wisely and ask all the queries before you make the final decision. 18. Can I use other add-ons applications with QuickBooks cloud hosting? Yes, you can. With QuickBooks desktop cloud hosting, you can integrate any number of add-ons with QuickBooks software as the cloud environment offers high scalability to accommodate these add-ons. 19. How Frequently Does Hosting Services Provider Offer Data Backup? It depends on the backup policy of the chosen hosting provider. Some do it once a week and others once a day, while some do it every day. For instance, Ace Cloud Hosting is one of those who backup the user’s data regularly and keep it for 100 days. 20. How Much Time Does It Take to Transfer QuickBooks Desktop to Cloud? It depends on the hosting services providers capability. Usually, it takes one or two days for transferring of QuickBooks Desktop software and data on the cloud. However, Ace Cloud Hosting takes 120 mins to do that. 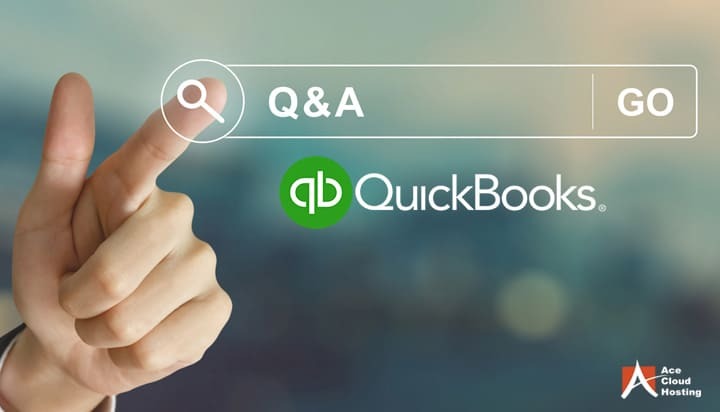 We tried to cover almost all of the frequently asked questions related to QuickBooks hosting, but if you still have a query that is not covered by us, then ask us in the comment section. We will try to resolve your question as soon as possible.